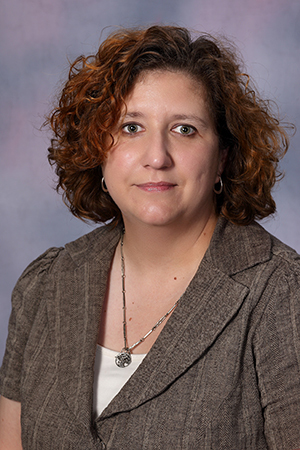 HAYS, Kan. -- Dr. Kim Perez, chair of the Department of History at Fort Hays State University, has been elected to the Kansas Humanities Council Board of Directors. "I have previously worked with the KHC as a grant recipient and project consultant, so when the opportunity to serve on the board arose, I jumped at it," said Perez. She was nominated by Emporia State University colleague and current KHC board member Dr. Ellen Hansen. Perez received a mini-grant from the KHC in 2008 in collaboration with the Downtown Hays Development Corp. and the Ellis County Historical Society for a project on the historic Chestnut Street District in downtown Hays. The grant helped develop a historical narrative and two-dimensional display of 10 historical businesses in the Chestnut Street District. Perez was also asked by the KHC to moderate a viewing of the documentary "The Waters of Kansas" in 2015. Over the course of her involvement with the KHC, she said, "I came to learn more about the organization and their mission to advocate and advance the humanities in Kansas. That is a mission that I am pleased to be involved with." She said that her job as an educator is to create an interest in history. Along with her love for her subject, she said, it is important to promote "an understanding and appreciation" for the cultural life of Hays to students. "I am a historian who has cultivated an interest in local history since I moved to Hays," she said. "This is how I became involved in KHC. I have served on the board of directors of the Ellis County Historical Society, so I have experience with organizations tasked with spreading a love for the humanities." History is just one part of the KHC's mission, Perez said, but it is the one that she is most passionate about. In researching the history of Hays, she found that the citizens have always had a strong interest in the history of their city. "I strongly believe that our town and our state has an incredibly rich history, and it is my goal to spread this appreciation," Perez said.